If you own a humidor, a hygrometer is a must for ensuring the proper cigar environment within it. The ideal environment for cigars is 70% humidity and 70 degrees farenheit plus or minus 5% and/or 5 degrees. Variations from 70/70 can occur for many reasons. The most common reasons include change of season (i.e. cold winters, hot summers), change of position for the humidor within a room (i.e. by a window, door, in a wet basement), not enough humidification (i.e. a credo that is too small or too large), or a poorly built humidor. 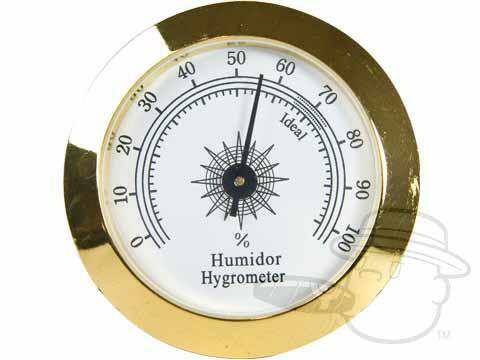 A hygrometer can help gauge the quality of the environment for the cigars within a humidor. 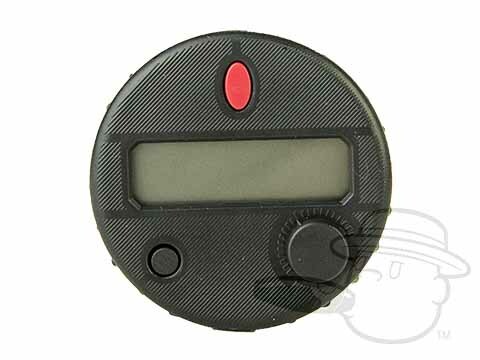 Most hygrometers include a simple watch battery for operation. Some have minimum/maximum features built directly in. Many people have the false impression that this has something to do with how the user wants the unit to read based on calibration. Actually, these buttons are used to allow the user to see the maximum and minimum readings over a particular length of time. For instance, you could actually see what the most and least the unit has read over the last 3 months. Hygrometers typically display information in two formats: analog or digital. 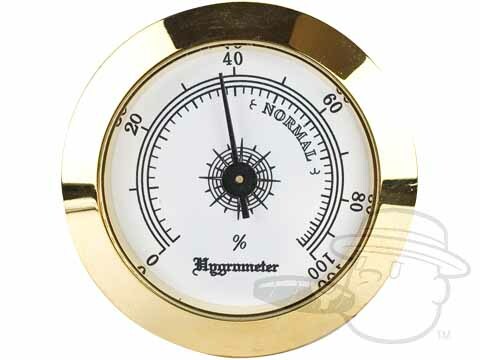 Also keep in mind that some hygrometers do not include a thermometer feature for temperature reading. Most will be accurate within plus or minus 3% or 3 degrees. To test your hygrometer, try wrapping it in a wet towel and give it time to read. If the humidity reads 100%, you're in business. The higher quality hygrometer you buy, the better results you can expect. Keep in mind, many humidors come with hygrometers, but in some cases are of lesser quality than what you could buy individually. 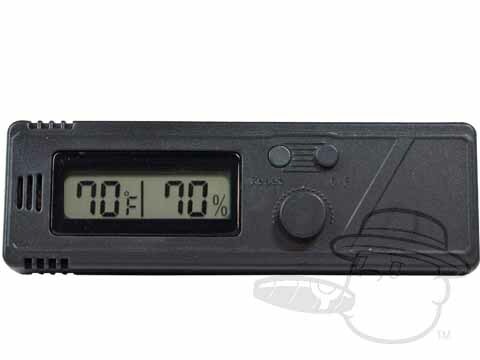 Some humidors have a display hygrometer (typically analog) on the outside. BEWARE: In many cases they are strictly for cosmetic purposes. They are not intended to perform. 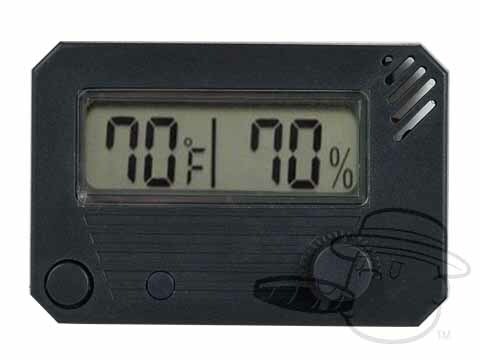 Cigar hygrometers are vitally important in evaluating the performance of your cigar humidor and the care of your cigars. We want to help you protect YOUR cigars. Give us a call or write us an e-mail if you have any questions.